Antique fountain fashioned in cast stone in the form of a statue of a boy pouring from an urn. Nice patina. Dimensions: 22 inches ht. Base shown is for display purposes only and is not for sale. 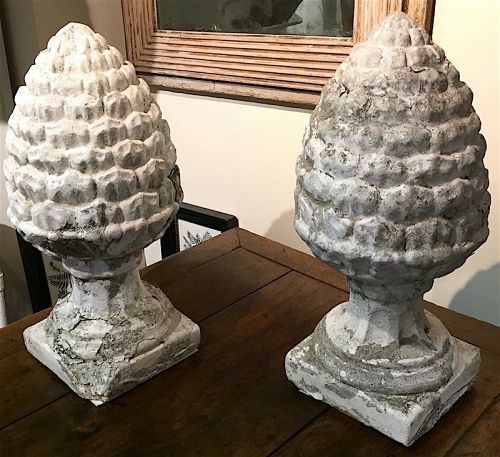 A decorative pair of English stone garden pine cone finials. Circa 1910. Painted white, some flaking. Large size and with good proportions. Size: 20.5 inches ht. x 9 inches diameter.